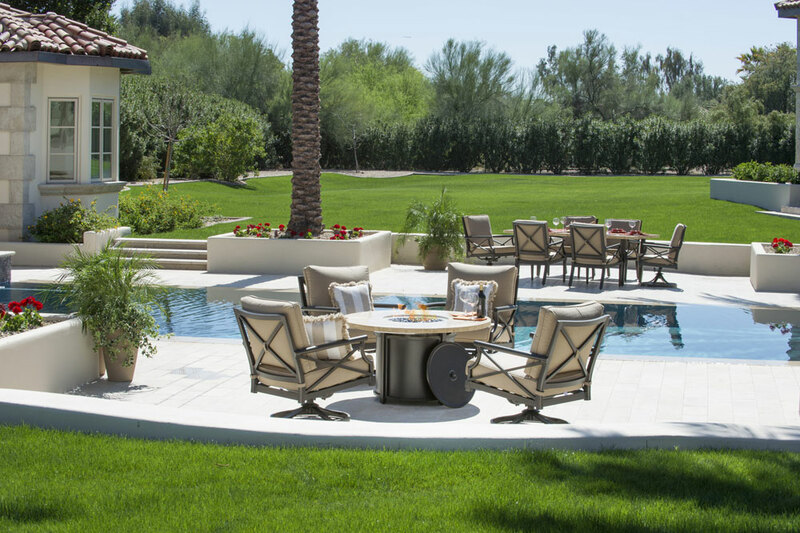 Inspired by the beautiful Santa Barbara region with its unique design influence and a classic vibe that never goes out of style, the Laguna 5 piece Fire Pit set will be the perfect accent to your outdoor living spaces. The sturdy travertine fire pit top and timeless “x” detail on the swivel rocking lounge chairs add to the beauty and durability of this collection. 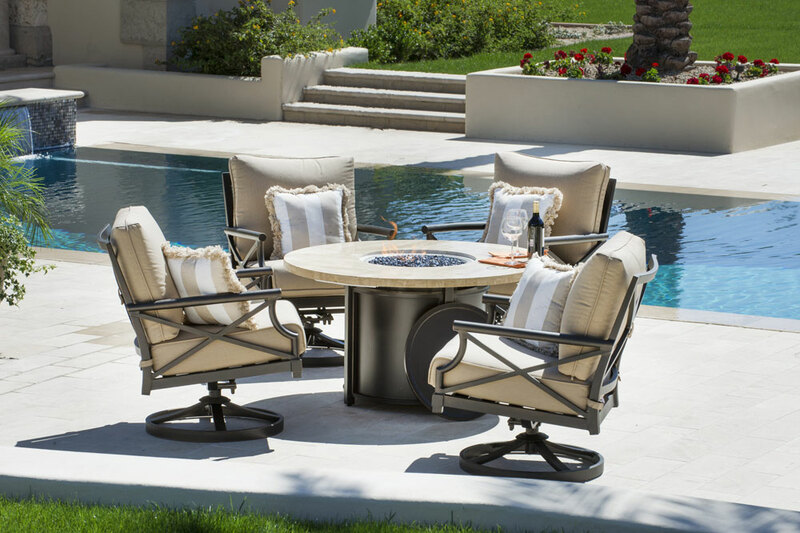 Generously proportioned 48″ round propane fire pit and four cushioned swivel rocking lounge chairs. 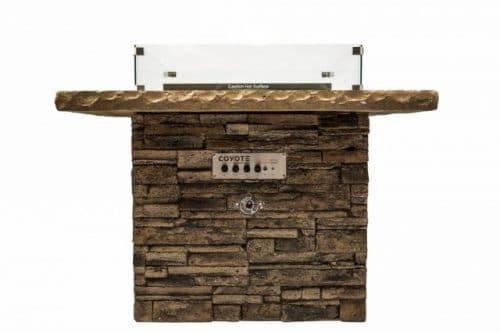 With Coyote Outdoor Living?? ?s experience in outdoor design and manufacturing, you can be confident this seating set has the comfort, detail and lasting beauty to make it the focal point of your family gatherings and entertaining for years to come. 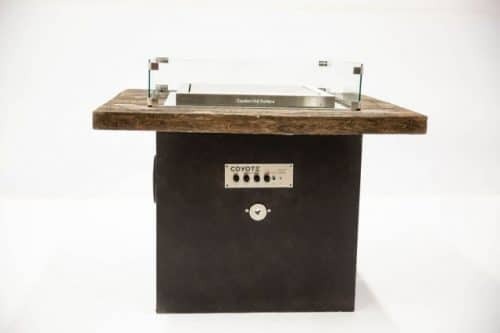 Includes: 4 swivel rocking lounge chairs and 48″ round fire pit with automatic propane starter (propane tank not included) and heat-proof black glass stones. Weather resistant, plush Sunbrella fabric seat and back cushions in Canvas Heather Beige with designer accent pillows in Sunbrella Decade Sand with Taupe Fringe, are UV stabilized and colorfast with zippers for removing cushion covers. Durable Gilded Milan powder coat finish stands up to the elements and protects against chipping, rain, wind, and salt air. 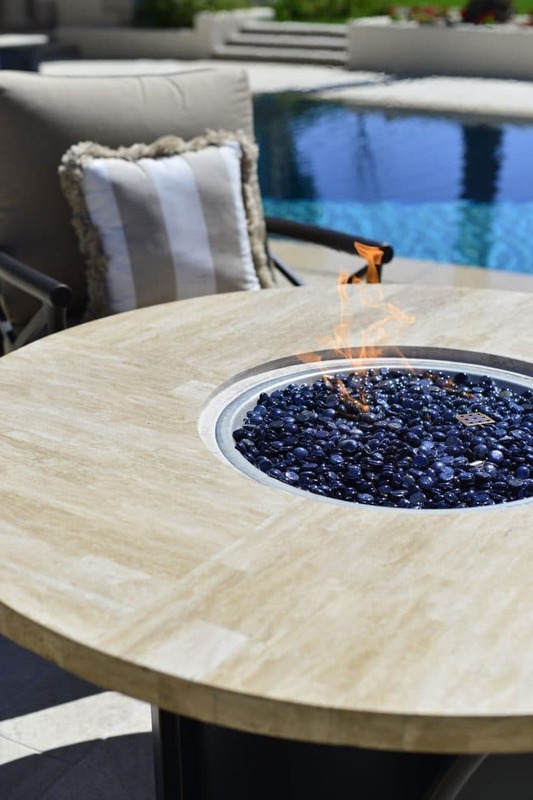 Fire pit is CSA Certified and includes auto-ignite for ease in lighting. Fire pit requires propane tank (not included). 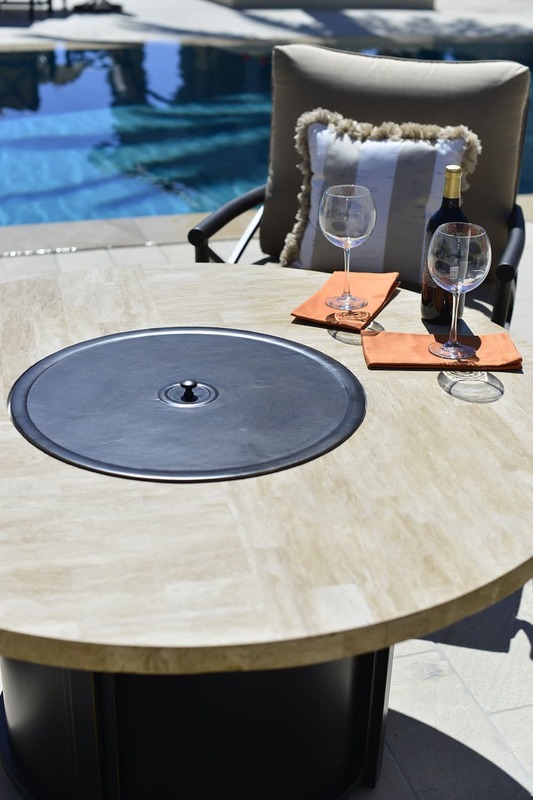 Fire pit top of sturdy travertine and includes a cast aluminum cover for opening. Lounge chairs and fire pit require some assembly and easy to follow instructions are included.